It’s been awhile since there have been any new launches that have been worth mentioning but today I finally have a good one for you. It’s a new viral list builder from my good friend John Bell. It’s called “Viral List Builder Plus“. I’ve know John Bell for a little over a year now from working with him in the traffic exchange industry. John is what I like to call a “triple threat”. He’s great at design, programming, and marketing. Not too many people can do all three. John has taken his experience from what he has learned in the traffic exchange industry to create a unique viral list builder that I think is really going to knock your socks off. What can you expect from this launch? Hundreds of new marketers and opportunity seekers will be joining John’s site over the next few days. 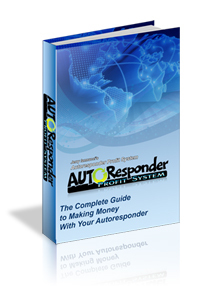 This is the perfect time for you to get in there and start getting your ads seen today. Launch is scheduled for 8:00am EST TODAY! Click the banner below to grab your free membership now! Not too much news to report. Other than the launch of Totally Tweetable about a month ago I haven’t spotted any other new safelists or mailers worth mentioning. Have I missed anything? So let’s just get to the stats! 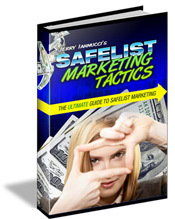 Every day I submit a series of lead capture pages to dozens of safelists and viral list builders giving away free copies of my ebook Safelist Marketing Tactics. I use link trackers to determine how much traffic my mailings generate as well as how many new subscribers I receive. I then compile all of the data and share the results here on my blog each month to show you which safelists and viral list builders are bringing me the best results. Keep in mind that these stats are the result of my own personal efforts. I have upgraded memberships in most of the sites below and spend time every day earning credits to make sure my ads are seen as often as possible. Your results may vary. I’m sure Stefan Berg will be happy to see that The Lead Magnet is on top again. Hi Stefan! I also want to recommend List Adventure to anyone who isn’t already a member. This mailer almost got lost in the shuffle a few months ago when new viral list builders were launching all over the place. List Adventure is right up there this month with heavy hitters like SOTAM and List Bonus. What’s amazing to me is that as an upgraded member at List Adventure I don’t think I have ever had to worry about earning credits to send my ads to the entire list every 3 days. Don’t forget that these stats are the results of my own marketing efforts. You results may differ from mine but you will never know unless you are tracking your ads! You can get the same link tracker that I am using for free when you join TE Toolbox.